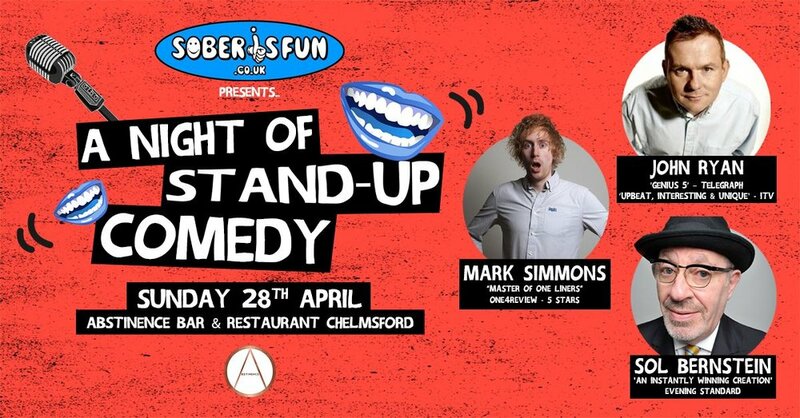 We return to Abstinence Bar Chelmsford on Sunday 28th April for our next Sober Comedy Club. Come and experience the gift of Sober Laughing Out Loud! Our previous two shows have sold out, do get your tickets as far in advance as possible …..